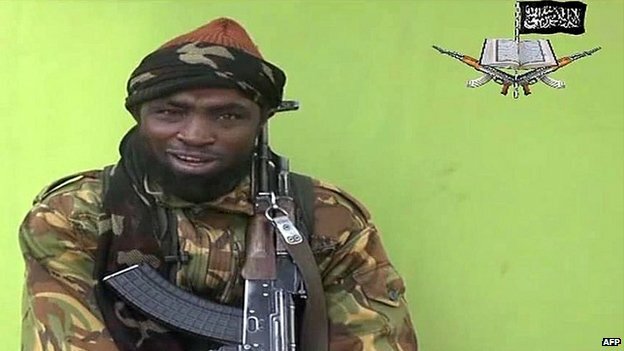 A new video, obtained by French news agency AFP, shows the leader of Boko Haram, Abubakar Shekau, alongside half of the Nigerian girls kidnapped last month. 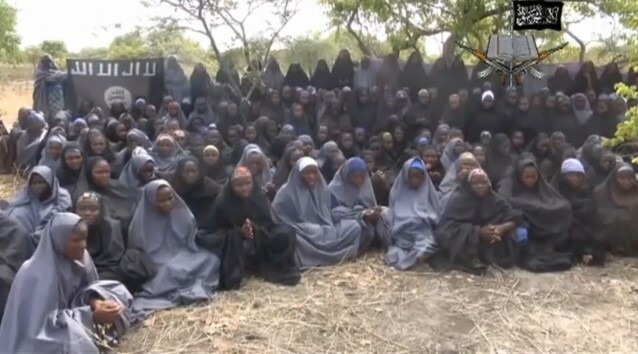 In it, Shekau claims that he will not release the girls until all imprisoned militants are freed. According to the BBC, Nigeria’s Interior Minister Abba Moro rejected the deal, saying it was “absurd” for a “terrorist group” to try to set conditions. This is the first time since the kidnapping that Boko Haram has made demands, signaling a shift in the group’s tactics, and indicating a willingness to negotiate. The girls are all wearing full-length hijabs and have, according to Shekau, been “liberated” by a forced conversion to Islam. It is believed that the majority of the girls were Christian. Several of them spoke directly to the camera, claiming to be unharmed and affirming their religious conversion. The fact that only half of the abducted girls are shown in the video supports the theory that they were split into smaller groups and transported across borders to avoid detection. Nigerian president Goodluck Jonathan, who has been on the receiving end of sharp and well-deserved criticism for his failure to act quickly on saving the girls, has finally accepted help from the United States, France, China and Britain in the search and rescue efforts. While these nations have pledged experts and intelligence support, it is unclear precisely what expertise these teams will provide. But at this point, any help is welcome, especially in light of Amnesty International’s report that Nigerian authorities had forewarnings of the abductions and did nothing. It’s time to #BringBackOurGirls once and for all.